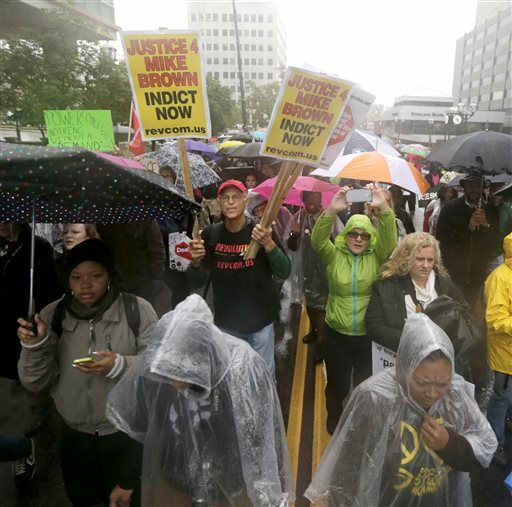 Late Friday, people marched outside the office of St. Louis County Prosecuting Attorney Robert McCulloch, confronted officers at the Ferguson police station and gathered nearby the scenes where two 18-year-olds, Michael Brown and Vonderrit Myers Jr., were fatally shot by police nearly two months apart. Protesters from all over the country joined locals in what they said was an effort to show the national impact of both teens’ deaths. Throughout the day, emotions ran high but violence, rioting and looting were avoided. 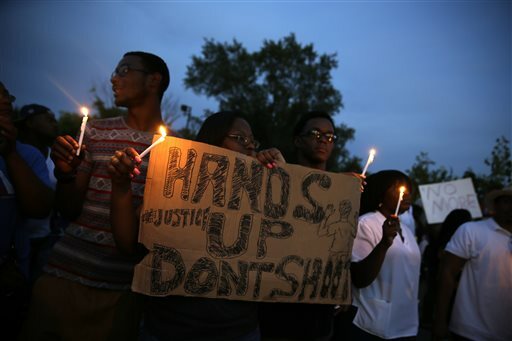 Protesters organized four days of activities in Ferguson and surrounding areas over the Columbus Day weekend. Starting Friday, they expected as many as 6,000 people to take part in marches, rallies and a yet-to-be-detailed act of civil disobedience.